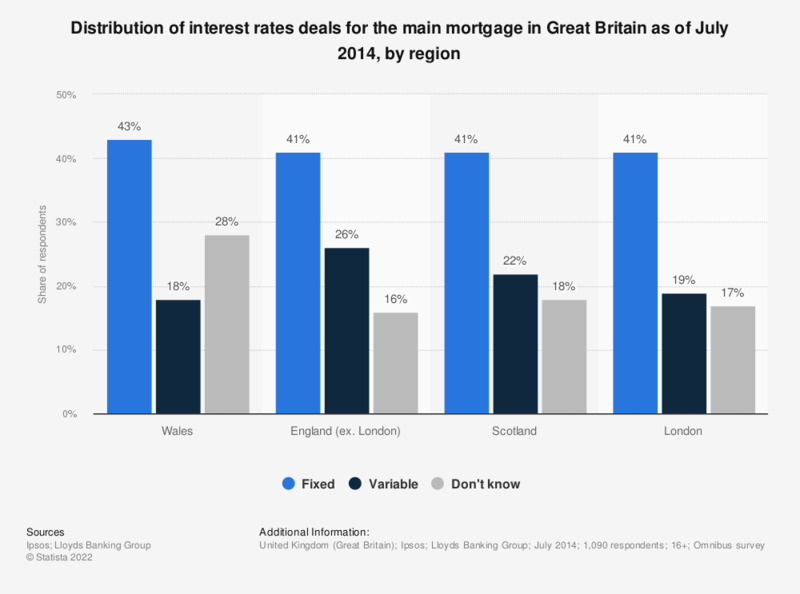 This statistic shows the type of interest rate the British adult mortgage holders pay, as of July 2014, divided by regions. Approximately 43 percent of respondents in Wales and 41 percent of respondents in London, England and Scotland stated to be paying a fixed-rate mortgage. New-home mortgage yields in the U.S.